Once in a while we need not worry about the competition Nikon and Canon. If at this time you have the money and power to buy a Digital SLR camera, you can find an alternative to other brands such as Panasonic GH3, Olympus E series or IIs Pentax K-5 Pentax K-5 successor. You will find a surprise in this camera, and then you need to open your heart to an alternative that is also attractive. The Pentax K-5 IIs is a semi-professional DSLR camera, based around the same body design as the older K-5 and the same 16.3 megapixel image sensor as found in the Sony A55 and Nikon D7000 cameras. Pentax K-5 II takes greatness to the next level. 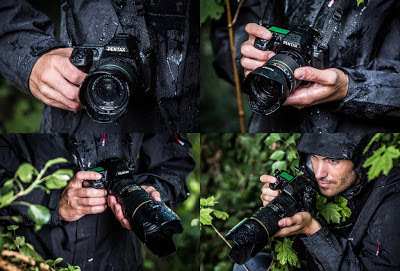 Its high resolution sensor, highly advanced autofocus system and accurate shake reduction system coupled with its weather sealed cold proof design ensure that this camera is worthy of fixation. With features this rich and robust the K-5 II is sure to feed your photography obsession and take you to the next level. You will enjoy SAFOX X autofocus system in this camera. Pentax claims this provides much improved speed and accuracy, as well as making the K-5 II the first APS-C camera to focus on lighting conditions as low as -3 EV. The system manages to focus almost instantly, even in the darkest of environments, and in many instances it does so without the aid of the AF assist lamp. As with the old Pentax K-5, you still get 11 well-spread autofocus points, nine of which are the more accurate cross-type. Pentax K-5 II is a strong camera because is fully weather sealed and coldproof design resists water, fog, snow, sand, dust, and more, for top performance in extreme field conditions as well as in the studio. You can bring this camera for adventure in Africa, Bali, and Nepal even in South Pole or Ayers Rock, Australia. The K-5 IIs features a shutter unit which provides a high-speed shutter speed of 1/8000th second and an incredibly competitive 100,000 shutter release life-span, a figure more normally associated with professional SLR cameras. The standard 18-55mm kit lens is better built and more weather-proof than the kits lenses of its rivals. This camera also capture widescreen HD video with stunning detail at full 1080p resolution and 25 FPS, including sound via a built-in or external 3.5mm stereo microphone jack. You also will find an HDMI port outputs high definition images, video and sound to HDTVs. If you don’t have to create HDR picture with Photoshop or other digital image editor, don’t worry, Pentax K-5 II already equipped with improved in-camera HDR image capture features more blending options and better pixel registration for easier operation without a tripod. Color depth and dynamic range are still superb, especially when the Dynamic Range Enlargement feature is enabled. You can create many unique photos because Pentax K-5 II built-in with a wide range of in-camera image processing and special effects filters encourages the photographer’s artistic expression. The Pentax K-5 IIs has a traditional eye-level optical TTL viewfinder which offers an impressive 100% scene coverage. The viewfinder is bright and free of any distortions or aberrations, making it suitable for both auto and manual focusing. It also features a Natural-Bright-Matte IIsI focusing screen to improve focusing accuracy during manual-focus operation. The Pentax K-5 IIs features a built-in Shake Reduction system. Turn it on via the main menu option and the K-5 IIs automatically compensates for camera shake, which is a slight blurring of the image that typically occurs at slow shutter speeds, providing approximately 2.5 to 4 shutter steps of compensation. The presence of anti-shake on the Pentax K5 IIs you not have to worry for taking pictures in low light conditions, but you also have to make sure to hold the camera firmly. Leaning on a wall or a tree will help you to produce sharp images and steady, not blur. Naturally anti-shake feature will be very useful when you are photographing a birthday party, wedding and event indoors. The K-5 IIs also displays a blur icon in the viewfinder to warn you that camera-shake may occur, regardless of whether or not Shake Reduction is on. 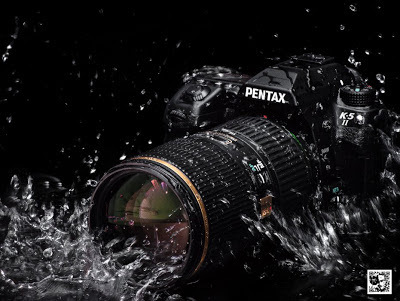 If you may escape from the establishment and the comfortable zone that was created by Canon and Nikon, then you are would choose the Pentax K-5 IIs and you may join the fan club the Pentax camera, and you become a Pentaxian. This club accommodate the Pentax camera owners, so that they may hunt together photos, create photo contest, to discuss of photography tips and solutions. You in fact you can participate a photo exhibition along with them.